If you have spent any time on Facebook lately, the chances are high that you have seen endless post about the new makeup craze, Lipsense. In fact, a few months ago, our own writer, CJ, did a great review highlighting this particular product. Call me a skeptic, but I just couldn’t see what or why anyone would want to spend that type of money on a lip color. Especially when there are other products out there that supposedly last as long for a substantially lower price. This thought got me thinking. 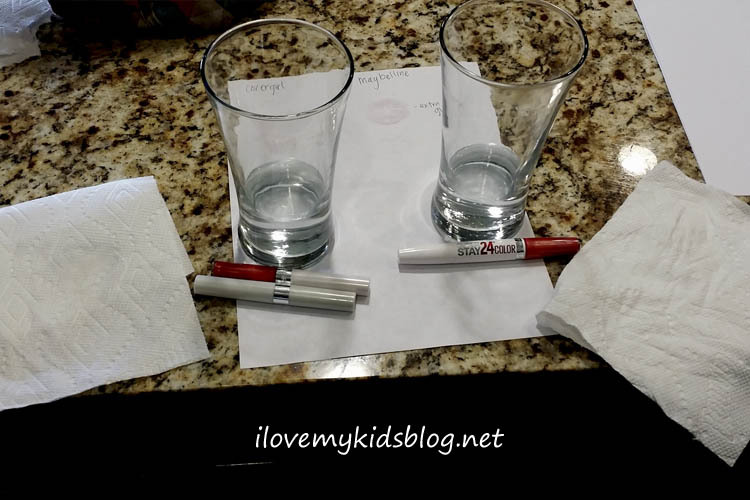 So I decided to put my questions to test and have spent the last four weeks comparing and contrasting three makeup lip colors from SeneGene, Maybelline, and Covergirl. This comparison is strictly my opinion and experience while using each product during multiple tests. I am not a professional, by any means. Merely a person with a question…why spend top dollar for a product when there are other options at a fraction of the cost? Lipsense has taken social media by storm. Surely, I am not the only one who has seen the crazy videos and pictures showing how this lip color lasts through practically anything, all day long. Marketed as almost “untouchable,” to me, it feels like one of the highest competitors in the lip color industry. I wanted to see if it performed better than its competitors. With a price tag of $20-25 per lip color (not including the gloss and remover) I needed to know what all the hype is about. Is it REALLY worth it? Finally, I went with All Day Lip Color by Covergirl as my last choice because it too suggests long lasting lip color. Covergirl is known for great makeup. It is also a close competitor with Maybelline. Could there possibly be more than one lip color that was low in cost but worked just as good? Naturally, I needed to find out. Again, I purchased this for $7.99 at my local Walmart. Each lip color had the same basic directions for application. Place color on first. Once dry, 30 seconds to a minute later, apply the gloss protector. With Covergirl and Maybelline, it was determined that putting on two layers of gloss stripped the color from the lips. However, if one light layer was applied, the color didn’t smudge off at all. The opposite was true for Lipsense. The more gloss you put on, the more protected the color is. I put all the colors on my hand one after another. After about five minutes, I ran my finger across my hand to see if the color smudged. Surprisingly, the Covergirl color failed miserably. Not only did it smudge, but it was almost completely gone by the evening time. 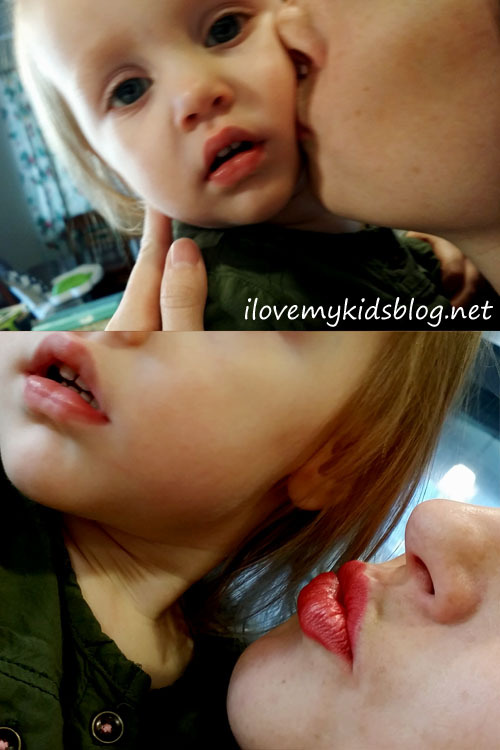 Lipsense and Maybelline held strong, but the ultimate winner of the smudge test was the SuperStay 24 Lip Color by Maybelline. It lasted nearly two days on my hand, after countless handwashing, showers, and daily activities. One of the coolest features (in my mind) about these long-term lip colors is that you can kiss anyone or anything, and the color wont transfer over!! Seriously, it is awesome. It almost seems like magic to me. As soon as the gloss for each color is applied, your lips are kissable. Crazy, I know! 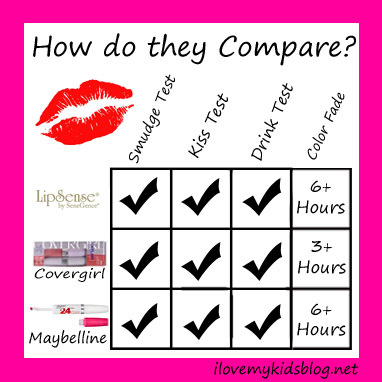 To test out how well each brand worked, my friend and I kissed a white piece of paper, as well as our daughters’ cheeks. As you can see from the picture, no color transferred to the paper EXCEPT when too much gloss was applied with both Covergirl and Maybelline. The Lipsense gloss is very thick. So when we kissed the paper, you can see how the gloss certainly came off, but no color what so ever was transferred to the paper. Each brand passed the test. However, it is worth noting that Maybelline and Covergirl worked great, except if you put on more than one layer of gloss. If you over do the gloss the color comes off. No matter how many layers of gloss you put on with Lipsense, the color stays put and stays perfect. I think it is pretty gross when someone who is wearing lipstick drinks from a glass and the color sticks to it. Don’t you think? All three brands passed this test with ease. The only residue on the glass was from the lip gloss. Typically when you drink, your lips also get a little wet. Not always, but sometimes. 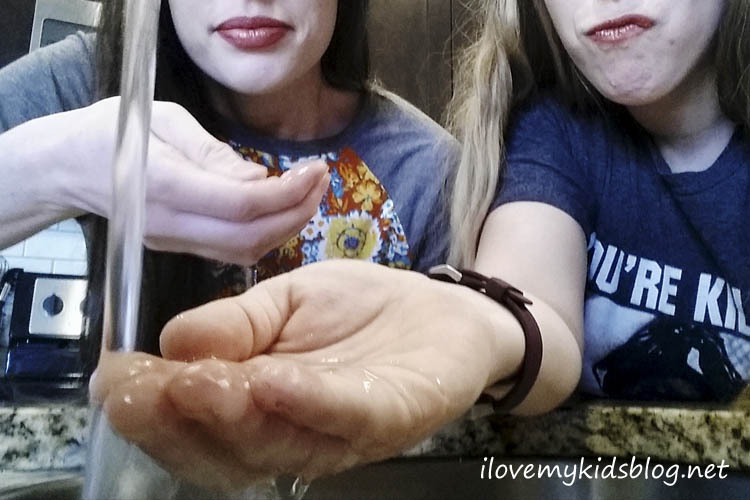 So, to test the colors well under wet pressure, my friend and I used water to wipe our lips, then we dabbed them dry with paper towels. Again, each color preformed with perfection. The color didn’t wash away, fade or rub off on the paper towel. After a reapplication of gloss, it was back to business as usual. The true test of the long-lasting lip color is if it actually lasts a long time. Right? We have already seen that each color holds up with everyday use…but when does it stop looking good? From my experience with each product, and talking with friends who use these three products as well, I have found that longevity varies for everyone. That idea is pretty frustrating, but just like everyone has different skin types (ie: dry skin, moist skin, etc) our lips are also different. Application techniques can vary as well. SuperStay 24 by Maybelline was applied to the left side and Lipsense by SeneGene was applied on the right. 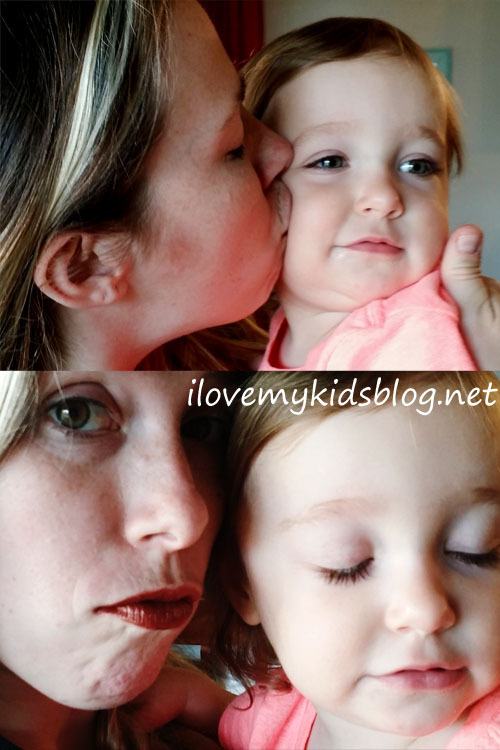 For me personally, Lipsense and SuperStay 24 Hour Lip Color by Maybelline lasted the longest. Both faded over time at about the same rate. To prove it, I put Lipsense on one half of my lips and the Maybelline color on the other. I applied the glosses as needed. Both are very comparable to one another when it comes to how well each performs. The Covergirl color never really stayed on well for me. I was lucky to get over 3 hours of good color with it. As mentioned during the kiss test, if the lip gloss was applied too thick the color came off quite easily. The Covergirl color is certainly the poorest performer of the three tested. LET’S BREAK IT DOWN NOW! *Tastes horrible! Don’t accidently lick your lips, because it is nasty! Although this product passes the “kiss test,” it leaves a gross taste on your lips, and potentially your partners as well. *Must purchase through an individual consultant. I personally have three gals I buy from right now. Each consultant has stock that is limited. So you may have to shop around for the color you are looking for. *Price point is high. Lip colors are anywhere from $20-25 (depending on the consultant selling them)…but you also have to buy the gloss as well, which is another $15 or so….then you should buy the Opps Remover as well, because getting the Lipsense color off your lips is a chore if you don’t have the Opps Remover. Total starting point for this product is $55!!! YIKES! *Exfoliation phase. Once you start using Lipsense you automatically feel and see the effects of it on your lips when you take it off. Your lips go through an exfoliation phase (as they all it) and they start to flake and peel. After two weeks of consistent application, the exfoliation phase passes, and your lips become “healthier”. *Takes time to apply. If you are a beginner like me, it can take a good 5 minutes to apply the lip color. It has to go on in 3 separate layers for the color to stay on and stay bold throughout the day. There are tips and tricks to mastering this, but for a novice, it is quite a stressful task at times. Ha. *3 layers of application. It is recommended that you apply three separate layers of color, one after the other, then apply the gloss over top. All other brands we compared only required one layer of color. *Gloss application is a MUST! To keep the color bold, bright, and beautiful you must apply the gloss anytime your lips start to dry out. If you don’t reapply the gloss throughout the day, you will not keep a bold smooth look. Apply before and after eating, drinking, showering, etc. 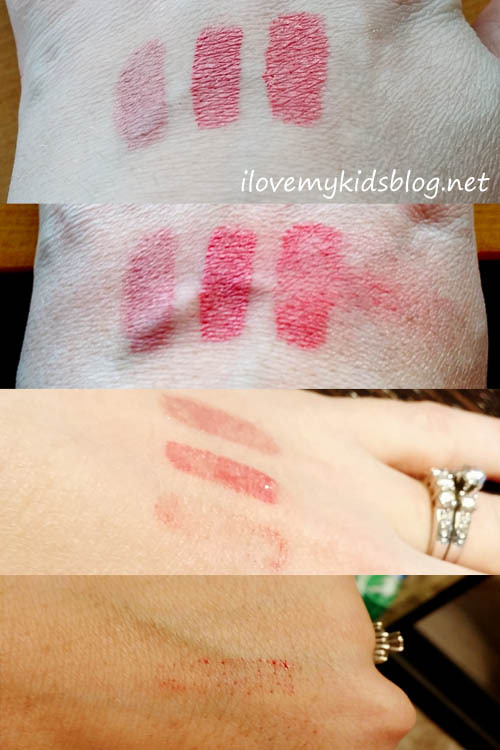 It has been fun testing these three lip colors out and coming up with the detailed comparison for you to view. I hope you have found it informational, and perhaps helpful, in some type of way. If you are new to lip color, like I was, I recommend you start off with SuperStay 24 Hour Lip Color by Maybelline. The colors are somewhat neutral, and you are only spending a couple bucks on it. If you are on a tight budget but want all day lip color, again, Maybelline is the product for you. You can get 6 different colors for the amount of money one starter kit with Lipsense would cost you. That gives you multiple looks and options for beautiful lip color without breaking the bank. However, if you are experienced with makeup and lip color, then Lipsense is where I would point you towards. It definitely has a great look to it, and works very well. 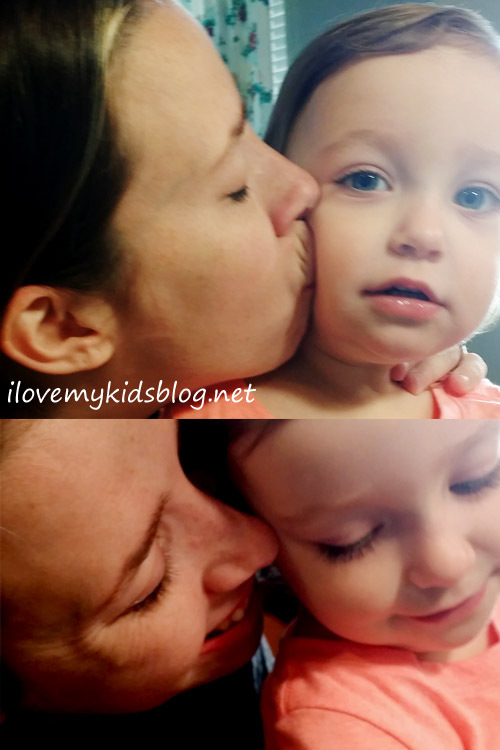 It has long lasting benefits for your lips if you are a constant lip color person. When combined with the glossy gloss, your lips will be radiant from sunrise to sundown with this product. I would categorize it as a higher-class lip color, that stands out from the crowd. Now that I have been wearing lip color for a few weeks, I honestly think I will alternate between these top two, while slowly buying more Lipsense colors and eventually straying from the Maybelline brand. I really do like how the color on Lipsense is more bold and vibrant. How about you? What is your experience with these brands? Did I miss anything that you would like to share? Please leave comments below. I would love to read them. Thanks!